If you are looking for idylic palm fringed tropical beaches,exotic vibrant Brazilian culture,great touristic infrastructure,all year round sunshine and high occupancy rates, the North-East of Brazil is THE place for hotel investment. The Brazilian currency has dropped 20% in value this year therefore providing a unique opportunity to enter the market and capitalize on one of these excellent hotel investment options. 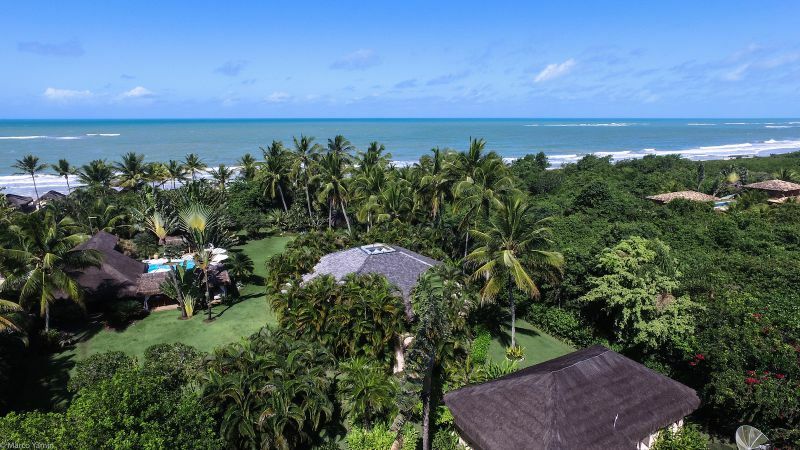 Brazil Beach House has built up a fantastic portfolio of both large and small hotel offers on the best beaches of the North-East including Porto Seguro, Trancoso, Praia do Forte, Itacimirim, Ilheus,Morro de Sao Paulo,Pipa,Maragogi and Flexeiras. Here are 5 of the best small beach hotels for sale in Brazil right now with respective links. 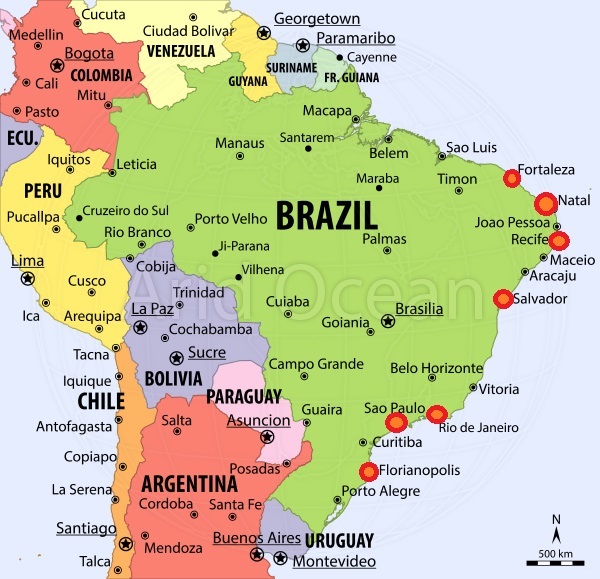 All 5 of these Brazilian beach hotels provide amazing oceanfront settings with close proximity to airports and are on the map nationally and internationally with a high volume of tourists all year round.All 5 have high occupancy rates,are generating profits and are well established in their respective markets. I have a wide selection of hotels for sale in Brazil to suit all investment requirements so please contact me for more information. This stunning boutique hotel is located just 80kms from Rio De Janeiro in the Ponta Negra neighbourhood of Marica. It is a 1hr 20 minute drive from the capital and the resort is very popular for middle class cariocas during the summer season. This Spa Hotel and Wellness center is perched on a cliff-top providing spectacular coastal views and fantastic facilities for pampering guests with spa,sauna,massage,fitness,yoga,detox menu and lots of fresh,clean air and tranquility. With more than 2.000 m2, divided into 2 buildings. Including 20 apartments, all with ocean views, a 20 m infinity pool, 150 m2 of state-of-the-art gymnasium, two spa rooms, a hammam, a 100m2 playground, a bar / restaurant and a kitchen. The project has 41 luxury units. Including 22 apartments with 1 bedroom (70m2 + 20m2 balcony), 15 apartments with 2 bedrooms (100m2 + 30m2) and 4 duplexes with 3 bedrooms (170m2 + 55m2).This hotel complex will also feature a tennis court,large restaurant,shops and oceanfront bar. The 41 units can be built for off-plan re-sale with fractional ownership with the existing hotel management in place to service the business. The project can also be modified to increase the number of hotel rooms. The owner of the property + project is a fitness guru from New York who exacted very high standards for the style and quality of the hotel. It is the only hotel of this standard between Rio de Janeiro / Niteroi and Búzios (110km from Ponta Negra) and provides a great opportunity for a hotel chain,independent investor to take the complex to the next level with expansion of rooms and additional facilities. Please contact me for more information about this very special opportunity. The North-East collectively posted a 70% Occupancy rate,up from 64%in 2017 way out performing the other regions of the country where the average as a whole was 54%. The top 3 cities in brazil all resided in the sun drenched North-East with Fortaleza coming top at 80%,and Recife and Salvador each posting 72%. Rio De Janeiro in contrast posted an O.C rate of 59% in the first 2 months of this year. The 3 big cities of North-East Brazil again came up trumps in revenue per room figures with Salvador posting an increase of 17.9%,Fortaleza 12.4% and Recife 12.9%. Fortaleza far outstripped any other city in the country with a RevPar of R$180 per room in the first 2 months of this year. The North-East of Brazil is likely to continue its upward trajectory in the hotel sector as the Brazilian economy improves. It remains the favourite destination for sun and beach vacations for its huge domestic population (200 million Brazilians) with all year round sunshine,warm weather and sensational beaches.There is also a significant and growing number of south american visitors from especially Argentina and Chile and more direct,charter flights from Europe and North America. Mike is a Hotel Broker in Brazil and offers Hotel Investment Opportunities through the country including in the key cities featured in this article,Fortaleza,Recife and Salvador.